… Changes in society, scientific theory, and the images articulating sensibility came together to make the old Romantic outlook virtually untenable. … What is the place of the Good, or the True, or the Beautiful, in a world entirely determined mechanistically? … The obvious recourse against this all-pervasive levelling was interiority: that the lived world, the world as experienced, known and transmuted in sensibility and consciousness, couldn’t be assimilated to the supposedly all-encompassing machine. … where the original Romantics turned to nature and unadorned feeling, we find many moderns turning to a retrieval of experience or interiority. This is the inward turn I have described. But what about the anti-subjectivism we find so frequently in Pound and Eliot, in Rilke, and in Heidegger as well? This is the feature which is often articulated as an opposition to Romanticism (as with Hulme), or as ‘classicism’ (Eliot), or even as an anti-humanism (Wyndham Lewis, and again later Heidegger). … What remained was the post-Nietzschean notion of nature as an immense amoral force, with which we ought to recover contact, which was evident in different forms in Fauvism, for instance, or in early Stravinsky, or in D.H. Lawrence. … a turn inward, to experience or subjectivity, didn’t mean a turn to a self to be articulated, where this is understood as an alignment of nature and reason, or instinct and creative power. On the contrary, the turn inward may take us beyond the self as usually understood, to a fragmentation of experience which calls our ordinary notions of identity into question, as with Musil, for example; or beyond that to a new kind of unity, a new way of inhabiting time, as we see, for instance, with Proust. Indeed, we can see how the notion could arise that an escape from the traditional idea of the unitary self was a condition of a true retrieval of lived experience. The ideals of disengaged reason and of Romantic fulfilment both rely in different ways on a notion of the unitary self. The first requires a tight centre of control which dominates experience and is capable of constructing the orders of reason by which we can direct thought and life. The second sees the originally divided self come to unity in the alignment of sensibility and reason. Now to the extent that both of these come to be seen as facets of a world and an outlook whose claims to embrace everything we want to escape, to the degree that we adopt a post-Schopenhauerian vision of inner nature, the liberation of experience can seem to require that we step outside the circle of the single, unitary identity, and that we open ourselves to the flux which moves beyond the scope of control and integration. … The modernist retrieval of experience thus involves a profound breach in the received sense of identity and time, and a series of reorderings of a strange and unfamiliar kind. These images of life have reshaped our ideas in this century of what it is to be a human being. … Where Pope could call on the established gamut of references which the great chain of being afforded, [the Romantic poets] Wordsworth or Hölderlin are finding new words by which something can become manifest to us through nature. And something similar could be said about [the Romantic painter] Friedrich relative to traditional iconography in painting. But it is still through a description, or a representation of a landscape, that the epiphany occurs. Much modern poetry is no longer descriptive in this sense. There is no unambiguously defined matter referred to or portrayed. Images are not simply introduced as simile or metaphor to characterize a central referent, story, or object. From the Symbolists on, there has been a poetry which makes something appear by juxtaposing images or, even harder to explain, by juxtaposing words. The epiphany comes from between the words or images, as it were, from the force field they set up between them, and not through a central referent which they describe while transmuting. We can sometimes still work out a central reality a poem is “about.” “The Love Song of J. Alfred Prufrock” is presumably “about” the etiolated, pusillanimous life of contemporary man, or one such. But much of the poem neither describes nor clearly expresses such a man. 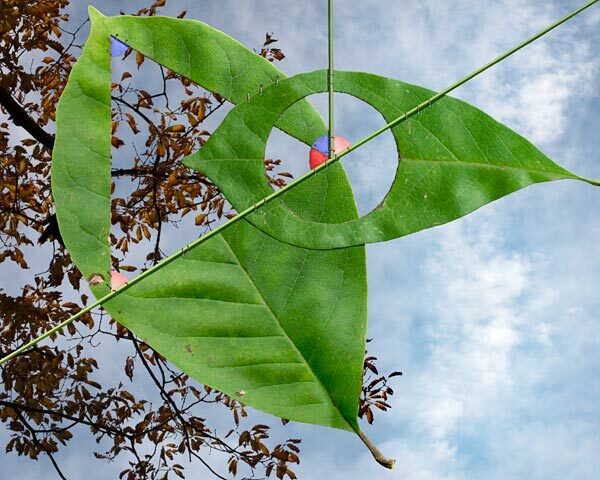 … We triangulate to the meaning through the images. … With the expressionists, for instance, there is no pretence that the figures in the painting could ever look like that in life, however much perception has been shaped by art. There is a self-conscious awareness that what is appearing here isn’t to be found reflected through the surface of ordinary things. The epiphany is of something only indirectly available, something the visible object can’t say itself but only nudges us towards. With the move to non-representational art, this feature of twentieth-century painting becomes central and obtrusive. The epiphany is indirect. This phrase might capture in a nutshell a great deal of modernist art. Returning to literature, we can see that the counter-epiphanic thrust of the writers I cited wasn’t meant to put an end to epiphany. On the contrary, it founds a possibility of a quite new kind. This comes about through the projection of a frame onto reality. … Human life is irreducibly multilevelled. The epiphanic and the ordinary but indispensable real can never be fully aligned, and we are condemned to live on more than one level — or else suffer the impoverishment of repression. This brings us back to the inward turn which I mentioned at the outset. The recognition that we live on many levels has to be won against the presumptions of the unified self, controlling or expressive. And this means a reflexive turn, something which intensifies our sense of inwardness and depth, which we have seen building up through the whole modern period. … Discoveries like Pound’s come to us indexed to a personal vision. Indeed, many of the references in the images of Pound, Eliot, and other poets come from their own personal experience. The fragments that Eliot “shores against his ruin” in The Waste Land are an idiosyncratic collection. To be moved by the poem is also to be drawn into the personal sensibility which holds all these together. The deeper, more general truth emerges only through this. For this reason, inwardness is as much a part of the modernist sensibility as of the Romantic. And what is within is deep: the timeless, the mythic, and the archetypical that are brought forth by Mann or Joyce — or Jung, whose work is fully a product of the modernist sensibility — may be transpersonal. But our access to it can only be within the personal. In this sense, the depths remain inner for us as much as for our Romantic forebears. They may take us beyond the subjective, but the road to them passes inescapably through a heightened awareness of personal experience. … it is not so much the inner dimension of meaning which is restored to vividness as common realities and hopes, pains and fulfilments. In the dark screaming. They picked it up, how could they leave it there? Might even be true, for who would take the trouble to invent it? Have taken unhappy causes or hopes to heart, and gotten well burnt. Previous Jeffers poems are here. … His was a twisted aesthetic. … When you slip, you lose control but not your centre of gravity, which continues to answer to the slip. … Artists themselves have delighted in the ironies of a purpose or a practice that turns into its opposite, as when only the most sophisticated are able to be sufficiently naïve. Previous to de Kooning’s efforts at whatever it was he was doing, several generations of modern artists cultivated the imitation of a child’s manner of drawing; their purpose was to reverse the educational process, removing their acquired expressive inhibitions. On viewing an exhibition of children’s drawings, Picasso confessed to Herbert Read: ‘When I was the age of these children I could draw like Raphael. It took me many years to learn how to draw like these children.’ De Kooning was not interested in being a child, but he admired the illustrative style of animated cartoons and comic books, including the old Katzenjammer Kids and Krazy Kat; viewers have perceived bits of Betty Boop and Minnie Mouse in a number of his paintings of the early 1970s. By claiming the commonplace as his domain — he spoke of his admiration for Norman Rockwell’s illustrations — de Kooning took refuge not only from aesthetic pretension but also from critical pretentiousness. This manifestation of the common or ordinary does not present the same problem as something common in the critical response, whether positive (mastering antithetical impulses, successfully combining contradictory cultural signs) or negative (playing expression for effect, acting out of misogyny). The problem in criticism is that its nature is to generalize, associating the new with the known, as its variant. Conceptual generalization converts mere description into explanation. When we view de Kooning as making some kind of perverse sense of contradiction as his means of transcending mental habits, we adopt a twentieth-century critical cliché, which is not the equal of twentieth-century material practice. The critical record causes me to be wary of identifying certain qualities of de Kooning’s practice a the essential ones. … Vision was de Kooning’s more analytical and regulative sense; he strove not to allow it to inhibit his touch, his more physical, instinctive sense. His eyes-closed and television art originated within the fixed margins of a sheet of paper, the hand’s domain, as opposed to some indeterminate space inhabited by a model and traversed by the eye. As a loss of control controlled by the conditions under which de Kooning set himself to work, his method caused skill and chance to become indistinguishable. Both these conceptual abstractions were reduced to, or fell back into, sensation — feeling. De Kooning had many ways of accomplishing his desired disjoining of perception — what the hand could feel — from preconception — what the eye would automatically adjust to an existing standard, counteracting the effect of chance and skill that enabled it. But there may be an immediate objection: is it not likely that hands embody regulative habits as much as do the eye? Yes and no: because our culture has such a long tradition of privileging the eye as the dominant and most mental of the senses, we tend to ignore the possibility that in circumventing its authority, we do no more than substitute one aesthetic tyranny (the tactile) for another (the optical). 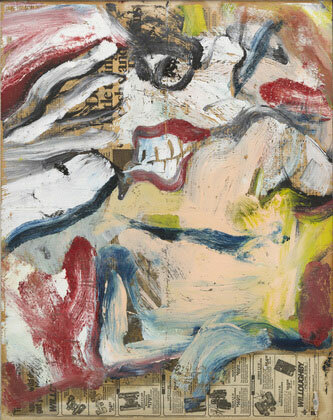 In fact, de Kooning sought to defeat any conventional habits of his hand as much as those of his eye. His various techniques each involve something more complicated than a turn or reversal in the hierarchy of eye and hand. Maintaining hand and eye in discoordination (an oxymoronic neologism: inexcusable) furthered de Kooning’s search for uncompromised irregularity. We would be particularly hard pressed to invent rules for his compositions even though they display repetitive features. Such features resulted from his liberal use of tracing and transfer, which also generated ‘accidental monotypes’ as a byproduct. His was a twisted aesthetic. I must generalize because words generalize. I will call de Kooning’s characteristic technical move a twist — a twist rather than a turn because twisting is a bit less abstract, a bit more physical, yet a bit more ambiguous. … If dancing with a twist was to be learned by dancing, did de Kooning learn to draw with a twist by drawing? Within the context of the de Kooning of the 1960s, when virtually all of his work constitutes representations of the body, were his mimetic actions and twists of line representing his view of another’s body, a sensation within his own, or the nature of an intensely physical linearity? Of course, these three possibilities do not exclude one another. … But de Kooning’s specific skills are too hard to define to be subject to development or application. His line does the unexpected — it is not just rendering contours or suggesting shading — and yet it seems adept at its own unforeseen action, at once exploratory and assured. Of his eyes-closed technique, de Kooning said this: ‘I feel my hand slip across the paper. I have an image in mind but the results surprise me. I always learn something new from this experience.’ Slipping it is. When you slip, you lose control but not your centre of gravity, which continues to answer to the slip. … Padding proprietarily through the spaces of our mutual habitation, cats travel light, but bring whole worlds in tow. … and are, and are not, the beloved creatures we think we know. Dog: … He can find what we have lost in the proverbial woods of the unknown, and gain nurturance from the hunt; in some cultures he was felt to commune with the spirit world. He ahs been willing to come into our world from his wolfish ancestry with a blossoming of unconditional love and devotion often far surpassing our own. In so doing the dog has assumed a central place in countless mythologies as a guide between the worlds of life and death, known and unknown, human and animal, and symbolically between the conscious mind and the wilderness of the unconscious psyche and soul. Cat: … Padding proprietarily through the spaces of our mutual habitation, cats travel light, but bring whole worlds in tow. … How intimately they traverse the liminal and the nighttime, gazing out from their darknesses with full-moon eyes and secret smiles. How inscrutably they preside over the rites and ceremonies of their feline rhythm of life. How they come and go as stealthily as fog; and are, and are not, the beloved creatures we think we know. Cow: … The cow is the ultimate provider of riches. Her bull calves are the workers of the fields, her manure becomes the fertilizer, fuel and building materials for houses; her sinews and bones turn into tools, her hide is used for clothing, her milk the ultimate nourishment, making her a wet nurse for millions of people. In ancient imaginations, the cow embodied the double transformation mysteries where the mother’s blood created or built the young and then changed into milk at birth. No wonder that the cow was worshipped as the mother goddess who cares for, feeds and creates all life. Bull: … The domestication of cattle supplied sufficient food to form stable communities. The oxen (castrated bulls), the most forceful and untiring of all draw animals, were used for plowing and harvesting, corresponding to humanity’s increased mastery of nature through the cultivation of land. This probably explains the extraordinary presence of bulls and cows in our cultural and religious heritage. 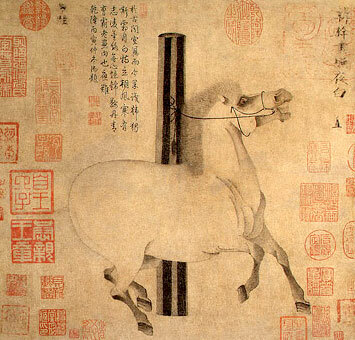 … The symbolic range of the bull is so encompassing that it is associated with all the four elements, indicating the tremendous power of nature, beyond human control. No wonder that the bull was worshipped as a divine being in most early civilizations. Horse: … The horse is a fabulous striving power to which we aspire for good and ill. We tamed them. They came to know us. … We tied them to our plows and carts, we settled the Wild West upon their backs, and they have carried us into and through countless wars and expansive conquests. … The horse is transcendence for man. Poseidon, god of sea and quaking earth, gave the horse to mankind, but Athena of wise counsel gave us the bridle. With these gifts we have transcended the literal limits of space, time and strength by harnessing horsepower to our efforts, while in the imagination, the horse has become an even greater chthonic power animal of the cosmic beyond, magically capable of beating a hoof to bring forth springs of living water, soaring winged into the sky, driving the sun across the heavens or inspiring fear and dread as the Four Horsemen of the Apocalypse. The Norse god Odin, “Swift Odin” and “Shaker,” rides his eight-legged white steed Sleipnir, gathering the dead, a ride which induced such fear in the countryside folk that they would lay fodder aside for Sleipnir as he passed, while at the end of this dark age the tenth incarnation of Vishnu as the white steed Kalki will bring forth a new world. … Hold your horses. Phaeton could not hold his and met a disastrous death. He tricked his father Apollo/Helios into allowing him to take control of the great chariot of the sun for a day, but the horses sensed a weaker hand and tore off out of control, endangering the order of the universe. There are nightmare horses of frenetic and crazy power, horses out of control, horses running away with us, getting loose, stampeding, destroying. I feel (and it’s also the opinion of the listener [quoted above]) that I don’t have to “respond,” to “reply,” which is to say, to “protest” (“But not at all, I don’t impose anything,” etc. [quoted from the letter]): that would be useless and of no interest. I receive what is said to me here as something that is said on my behalf, that I tell myself, but on the basis of which, since it is said to me by an other, I can more easily drift: the other’s speech (benevolent: and this is decisive) helps me to decenter myself, to open up onto an elsewhere of my discourse that I had not thought through: “the other thinks in my brain,” That’s true dialogue, which doesn’t need actual theater. … the course: step by step: how to recognize the world as a tissue of aporias, how to live until death by going (painfully, pleasurably) through the aporias, without undoing them by a logical, dogmatic blow of force? Which is to say: how to live aporias as creation, which is to say, by the practice of a text-discourse that doesn’t break the aporia but floats it as a speech that tangles itself in the other (the public) lovingly (to borrow again a word from Nietzsche)? I said it (inaugural lecture) in another way: literature or writing (in which I locate myself, without any presumption of value) = the representation of the world as aporetic, woven of aporia + the practice that induces a catharsis of the aporia, without undoing it, which is to say, without arrogance. In this fake being, limp, distended, multiple, there are a crowd of antitheses, of contradictions that live peacably side by side. Nothing in him is either distinct or separated, but everything is mixed, everything is interlaced. The men in question hold nothing for true and nothing for false, they love nothing, they hate nothing. They neither love nor hate because for gratitude, for love, for hatred, for each feeling, there must be this energetic concentration of which they are incapable, because it requires that one distinguish and separate within the diversity, and that one choose the single object of one’s gratitude and one’s affection. Very endoxal idea that to love is to choose, to eliminate, and thus to destroy “the remainder” + assimilation of the multiplicity of desires to indecision and, from there, to softness, to the “limp” = vitalist idea: what lives is only alive if it destroys what is around itself. … It is not hard to see what the common ground of these bad images is. Let’s recall: historically, the “official” space of the neutral is Skepticism, i.e., Pyrrho’s disciples: Zetetics (always looking), Skeptics (examining without finding), Ephectics (suspending their judgment), Aporetics (always looking); thus, always images of failure or impotence. My most recent previous post from Barthes’s book is here. … there appears to be some idea that every unwrapping is detracting a little from the value of the item. … This is something the human hand must do, and only loving care enables us to perform such troublesome manual tasks to the very end. … It is … thought to be polite to wrap a single-page letter in a plain sheet of writing-paper … For example, when my son’s passport had to be left behind at the travel agent’s office for a correction to be made to a visa, it arrived a few days later in an envelope big enough to hold a foolscap folder. This envelope opened, I drew out a slightly smaller one, sealed again but with nothing written upon it. Opening this one, I found yet another smaller sealed envelope inside, again with nothing written on the outside. My son’s passport was to be found inside. On another occasion I received some photographs by post. The number of envelopes was the same as with the passport, but the photographs were then further sealed inside a plastic packet inside the smallest envelope. Another expression of the value of wrapping in a Japanese view is to be found in the way precious objects are stored. Unlike many Western collectors, who display the objects of their interest in a glass case, or in some other visible location, the owners of precious objects in Japan are quite likely to keep their things well hidden away. If a visitor should express an interest, he or she will be treated to an often deliberately slow and careful unpacking process. Pots, for example, may be folded first in silk or some other soft material, then placed in a purpose-built box, itself often a work of some art, and the box may even be wrapped again in paper or some other substance. Indeed, some artefacts may be enclosed in multiple boxes. The Kizaemon tea bowl, described and discussed in an essay by the folk-artist Söetsu Yanagi, is apparently considered to be the finest in the world. Yanagi had been wanting for years to see the bowl, and some element of suspense is communicated in Bernard Leach’s English adaptation of his work. ‘It was within box after box, five deep, buried in wool and wrapped in purple silk.’ One aficionado of ceramics told me that a collector’s best pots are kept for only a very few eyes, since there appears to be some idea that every unwrapping is detracting a little from the value of the item. Thus a visitor may gauge his status in a collector’s house by the number of pots he is shown. Even though the object to be wrapped may be no more than a small confection, someone who truly wants to please, who wants it to taste even more delicious, will go to great trouble to wrap it carefully by hand … This is something the human hand must do, and only loving care enables us to perform such troublesome manual tasks to the very end. … In practice in everyday life in modern Japan an enormous number of beautifully wrapped gifts change hands for a large variety of different ostensible reasons, but the wrapping process may have very little connection with the notion of human love. As Mauss was at pains to demonstrate, gifts which are in theory voluntary, are often subject to strict bonds of obligation, and Japan is no exception to this rule. [Jane] Cobbi makes an important point when she notes that the hedonistic perspective — ‘une notion de plaisir’ — associated with the French word cadeau is not generally the same in the case of Japanese gifts, and elsewhere there may even be entirely inauspicious associations. People wrap gifts, or, more often in today’s world of department stores, have them wrapped, because this is the appropriate way to present them. Without wrapping, the gift would fail to carry the message as properly intended, and the procurement and delivery of the gifts one is obliged to present may indeed by a very time-consuming and troublesome activity. It is true that a gift wrapped by hand in home-made paper may in certain circles carry a special message of love in today’s Japan, as it may have in times past, but a gift entirely unwrapped may carry the same message. Indeed, many of my Japanese informants explained to me that the formal wrapping of a gift expresses a certain distance in a relationship, so to leave a present unwrapped is a way of expressing intimacy. … Iwao Nukada, the author of a comprehensive book in Japanese devoted to the subject of wrapping, goes into much more detail about the variety and meaning of wrapping in Japan. He discusses the way in which wrapping has developed aesthetic, religious, and magical qualities over and above the original functional ones, as well as becoming subject to strict rules of etiquette and courtesy. He too couches these developments in the context of a scheme of cultural evolution or civilization (something akin to that of Norbert Elias), providing a plethora of examples from different historical periods to support his view, which dovetails with the notion of value placed on refinement and restraint outlined by Ekiguchi. To be able to wrap things properly becomes a measure of refinement and civilization which is applied within Japanese society, but also by implication since Japan is supposed to be so advanced in this respect, as a way of giving Japan an edge over the rest of the world in cultural achievement. Nukada further divides types of wrapping into three: the wrapping of goods, which has been the focus of this chapter, the wrapping of the body, and the wrapping of space. In subsequent chapters, we will be considering Nukada’s second and third types, but we will also turn to examine the notion of wrapping in a wider context which includes language as a form of wrapping. On the whole his theory about refinement applies there, too. It is a phenomenon by no means peculiar to Japan, and it is in considering this type of wrapping that we will find ourselves most comfortably in an area which lends itself to cross-cultural comparison. My first post from Hendry’s book is here. … Perhaps all magical objects are knottings together of objects and the subjects that conjure with them. … There seem to be certain kinds of objects whose mission is to embody the powers of flatness, which we may identify as the tabulating power of abstracting and reshuffling the world. Such objects are always characterised by the duality of being objects that bring the world together into one place even as they are also objects in the world. They are outside the world which is also outside them. The most powerful, and the most widely disseminated, of the objects which undergo this oscillation is the card. Let us say that cards are the apotheosis of the flat, and the tabulating power that it gives. … We are often told that the distinguishing feature of the human hand is its opposable thumb, and more specifically the fact that the thumb and index finger can be pressed together, enabling all kinds of actions from turning screws to the flipping of coins and the stitching of lace. The two dimensions of depth and length of the card both seem to figure this opposable relation. Held between finger and thumb, the thinness of the card is a minimal membrane, an all-but-nothing, that seems to be nothing but the difference between front and back, recto and verso. Held by its edges, the card suddenly reveals its spring and resistance, its unsuspected kinetic energy and coiled violence. … Playing cards are … magical partly because they are meaningless in themselves; their power only comes from the signs they carry, and the meaning of those signs in relation to other signs. The meaning of the playing card is in part its arbitrariness, its flatness, its lack of intrinsic life or meaning, the fact that no card means anything on its own. Its flatness signifies this dry semioticity. Its life comes from contingency and adjacency, from what occurs when it is laid next to another card. … A knot is the magical image of time turned upon itself. There is an important difference between a knot and a loop, bow or circle. For these latter merely mark or suspend time, open up a nook or epoch in time, a passage of time in which time can appear not to pass. But a knot does more than merely remit the onward pressure of time, for it also turns it against or back into itself. A loop slackens the tension of ongoing time, but a knot makes that tension strive against itself, so that, the more one pulls on the two sides of a knot, the tighter it gets, time coagulating into space and space becoming ever more charged with time. … The knot concentrates a power of unloosing, disperses a power of retention. The knot is a figure for the logical difficulty of paradox not because it simply makes the paradoxical relation plain or lays it open to view, but because it is itself paradoxical and self-confuting. A knot is a figure that offers to help us grasp all at once the idea of something that can neither quite be pulled apart or pull itself together. It is implicated in what it signifies. The knot is the image of life itself, with man as the anastomosis of spirit and body, in which, as in John Donne’s ‘The Ecstasy,’ is ‘knit / That knot, which makes us man.’* The dissolution of death is the untying of that knot. … In a sense, the power of the knot is precisely that it images the empty self-relation of that which comes into being in turning or reflecting on itself, and is thus twin to the self-conjuring cogito. A knot is not so much a magical object in itself, as a magical form, or the precipitate of a magical practice. It is a way of doing magic with, and imparting magical possibility to, more mundane objects — laces, ribbons, hankies, wires and hair. Indeed, the definition of a magical object I offered earlier, as something that helps us credit our own powers to invest objects with magical powers, has something characteristically involuted and knotty about it. Perhaps all magical objects are knottings together of objects and the subjects that conjure with them. … History in general as it is written or told is a network of bifurcations where parasites move about. … The noise heard at the door temporarily stops the rats from eating the leftover ortolans. Why is it always the rats’ point of view? Why don’t we think of what happens to the host? He never sees that there are rats there. The door opens: no one is there. The table is immobile and the obscurity is quiet. Nothing has happened. The host closes the door and goes back to bed. The noise starts again, the noise of chewing, history. He gets up again. He opens the door suddenly. There will never be any rats. The observer makes the observed disappear by bringing along his noisemakers. His sandals make the floorboards creak. He told his wife that he was going to see what was going on. People always talk about the light that is indispensable for seeing and observing. Even Maxwell’s demon needs this light. People hardly ever talk about the noise attached like a string to the tongue, indispensable for speaking; people hardly ever talk about the signal attached to the sign. 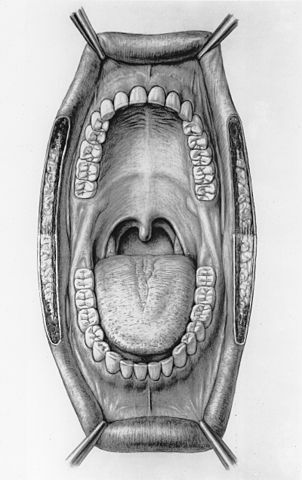 Noise of the mouth, of the teeth, of the lips, so close to the repulsive noise of the eater. … Intuition speaks silently or speaks softly enough so as never to scare things, to tame them a bit. Oil the door and silence one’s steps to surprise the rats a bit before they leave. Perhaps film them among the bones and scraps. But only parasites have this genius for being invisible. … The observer is perhaps the inobservable. He must, at least, be last on the chain of observables. If he is supplanted, he becomes observed. Thus he is in a position of a parasite. Not only because he takes the observation that he doesn’t return, but also because he plays the last position. … From the beginning, we have moved from discourse to discourse, either written or told; we have gone from box to box; each is empty and contains the following; the explanation or the reading goes from implication to implication; we are out of breath, waiting, in suspense. Finally the black box is there, finally the true one, the true banquet, that of the gods, no longer that of ideas or of genres/genera, no longer that of allegories, of figures of style or speech, of useless words, but the banquet, where one really drinks the drink of immortality, where good really wins, where love is finally love and no longer a punishment, where wine is not drink for illusions and hangovers, but where ambrosia finally gives the invariability of what is. We have arrived. The door opens. We don’t go in. Someone leaves through the door. Who is it? The door itself. They made fun of us. The only information that comes out of the black box is that there is a channel through which information passes. The only message that comes out of the path is that there is a path by which messages pass. A thread comes out of the box. The only thing that passes in the channel is the name of the channel. … The “pleasure” afforded by the artwork, according to traditional doctrine, always also contains a hint of malicious joy, indeed of scorn, directed against the vanity of seeking access to the world through reason. … the artist is … struck by the order that emerges from his own hand in the course of a rapidly changing relationship between provocation and possible response, problem and solution, irritation and escape. … In a manner that is matched neither by thought nor by communication, perception presents astonishment and recognition in a single instant. Art uses, enhances, and in a sense exploits the possibilities of perception in such a way that it can present the unity of this distinction. To put it differently, art permits observation to oscillate between astonishment and recognition, even if this requires worldly media such as space and time as a means of securing continuity. This is not a matter of indulging in the automatic recognition of what is already known — the kind of pleasure produced by the “culture industry” that was so arrogantly rejected by Horkheimer and Adorno. Rather, the pleasure of astonishment, already described in antiquity, refers to the unity of the difference between astonishment and recognition, to the paradox that both intensify one another. … The imaginary world of art offers a position from which something else can be determined as reality — as do the world of language, with its potential for misuse, or the world of religion, albeit in different ways. Without such markings of difference, the world would simply be the way it is. … Only within a differentiated distinction between a real and a fictional, imagined reality can a specific relationship to reality emerge, for which art seeks different forms — whether to “imitate” what reality does not show (its essential forms, its Ideas, its divine perfection), to “criticize” reality for what it does not want to admit (its shortcomings, its “class rule,” its commercial orientation), or to affirm reality by showing that its representation succeeds, in fact, succeeds so well that creating the work of art and looking at it is a delight. The concepts of imitation/critique/affirmation do not exhaust the possibilities. Another intent might address the observer as an individual and contrive a situation in which he faces reality (and ultimately himself) and learns how to observe it in ways he could never learn in real life. One thinks here particularly of the novel. The novel is an imitation that, rather than referring to reality directly, copies one imaginary reality into another such reality. 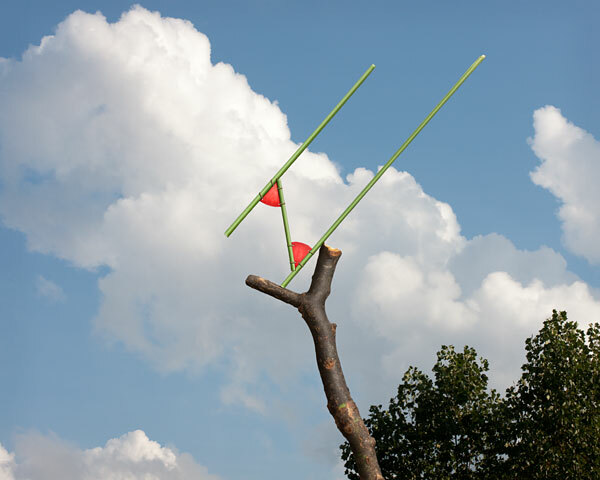 … The artwork commits the observer to fixed forms. Within the context of modern communication, however, this constraint leaves room for applying the formally established difference between imagined and ordinary reality in multiple ways. Because it embeds its forms in objects, art need not enforce a choice between consensus and dissent, or between an affirmative and a critical attitude toward reality. Art needs no reasonable justification, and by unfolding its power of conviction in the realm of perceptible objects, it demonstrates this. The “pleasure” afforded by the artwork, according to traditional doctrine, always also contains a hint of malicious joy, indeed of scorn, directed against the vanity of seeking access to the world through reason. … In the twentieth century, one encounters artworks that seek to cancel the difference between a real and an imagined reality by presenting themselves in ways that make them indistinguishable from real objects. Should we take this trend as an internal reaction of art against itself? … No ordinary object insists on being taken for an ordinary thing, but a work that does so betrays itself by this very effort. The function of art in such a case is to reproduce the difference of art. But the mere fact that art seeks to cancel this difference and fails in its effort to do so perhaps says more about art than could any excuse or critique. Here, what we learn to observe is the inevitable and ineradicable rule of difference. … Unlike philosophy, art does not search for islands of security from which other experiences can be expelled as fantastic or imaginary, or rejected as a world of secondary qualities or enjoyment, of pleasure or common sense. Art radicalizes the difference between the real and the merely possible in order to show through works of its own that even in the realm of possibility there is order after all. Art opposes, to use a Hegelian formulation, “the prose of the world,” but for precisely this reason it needs this contrast. This leads us back to the ancient topic of astonishment, which affects not only the observer of art but also the artist. The observer may be struck by the work’s success and then embark on a step-by-step reconstruction of how it came about. But the artist is equally struck by the order that emerges from his own hand in the course of a rapidly changing relationship between provocation and possible response, problem and solution, irritation and escape. This is how order emerges from self-irritation, which, however, requires the prior differentiation of a medium of art to decide that this order differs in its stakes from what occurs elsewhere in reality.